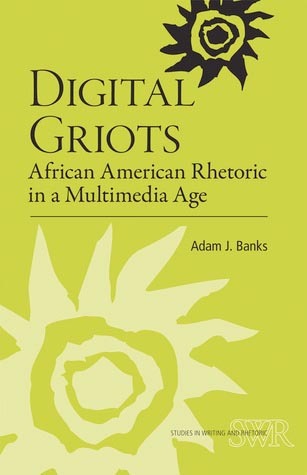 Track 2, "Mix: Roles, Relationships, and Rhetorical Strategies in Community Engagement" chronicles Banks's idea about how the digital griot provides a medium for which to mix roles and blend them in a way that would translate to community interaction. Banks acknowledges the tensions that may exist in mixing roles, especially when thinking of scholars who attempt to balance community work and more traditional scholarly commitments. Banks spends a great deal of the chapter speaking about his own attempts at mix as he worked to balance interactions at Syracuse by creating dialectical relationships between the school and the community. Working primarily with the Black community at Syracuse, Banks's project highlights his desire to "encourage participants to see themselves as griots, to value the oral tradition and print and digital literacies, and to develop writing and rhetorical practice" that link to building community through critical literacy (83). Banks's notion of mixing, then, speaks to layering, blending, and connecting to garner participation that is both meaningful and varied for African Americans. With Interlude 2, Banks recognizes The Hip Hop Archive, created by Marcyliena Morgan, which includes courses, events, and bibliographies of lesser known radio outlets that "counter stereotypical notions of Hip Hop" (84).